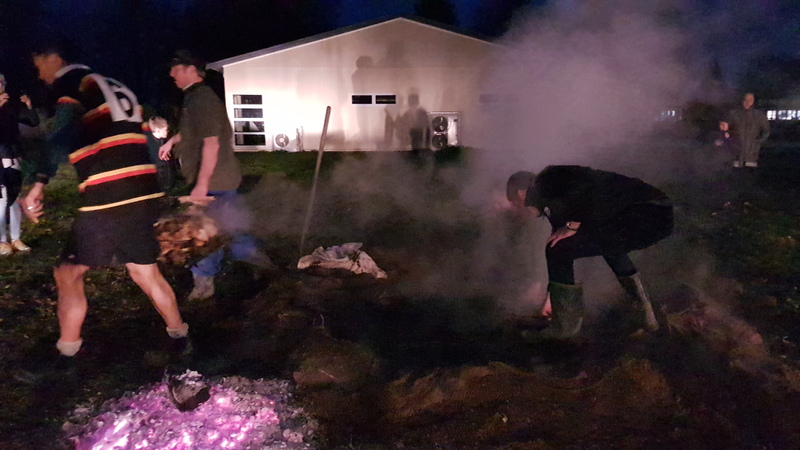 Was asked Awhile back to create a thread of the Hangi process i do. 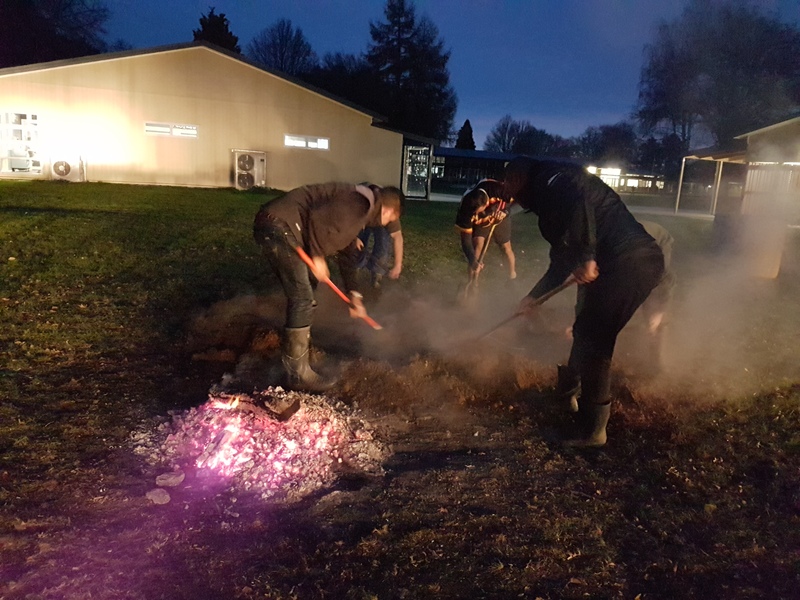 I was asked by a local school where my daughter goes (she's 4th genration of my family through the primary school) to put down a hangi for Matriki week and the children can learn more about the cooking process of the hangi. 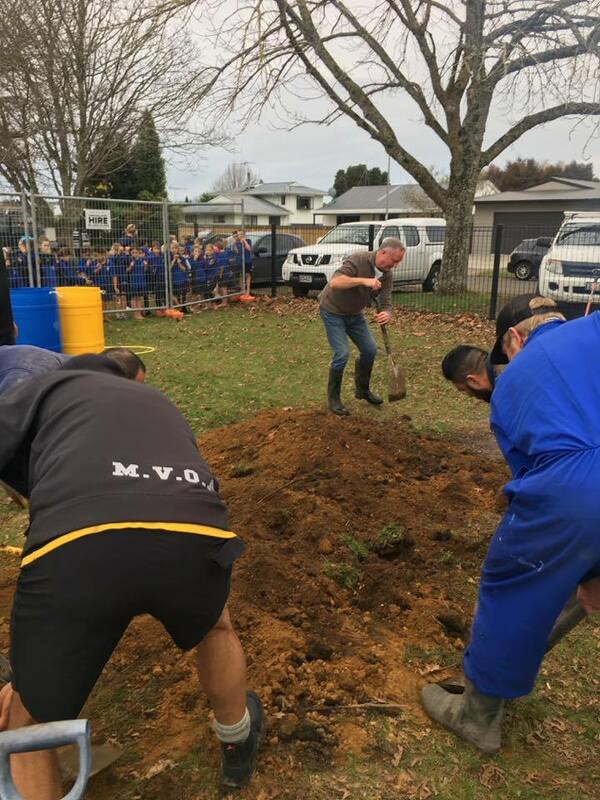 Not only the children i think the teachers and adults got an education out of it as a lot of them had never seen this being done in the ground. 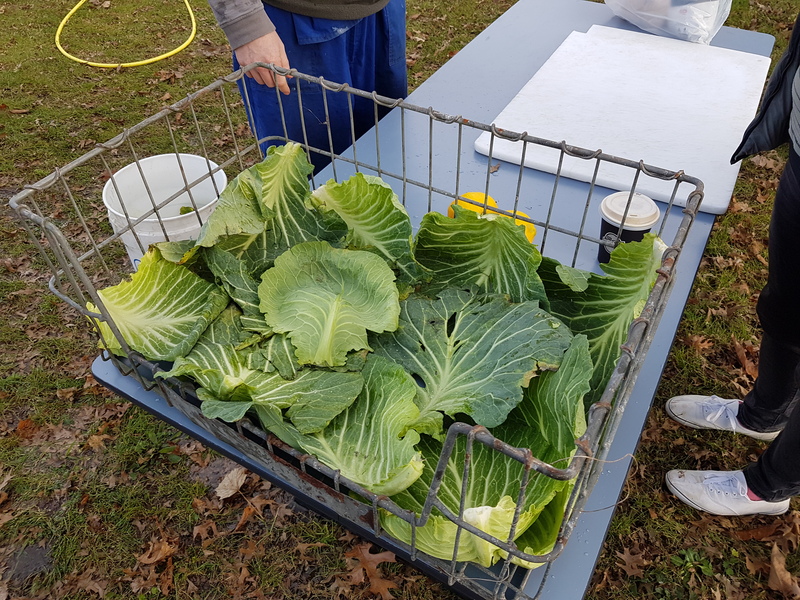 Our numbers were to be 180 people as a taster with other shared food, the children were to learn not only about the cooking but also providing of food and sharing of food. 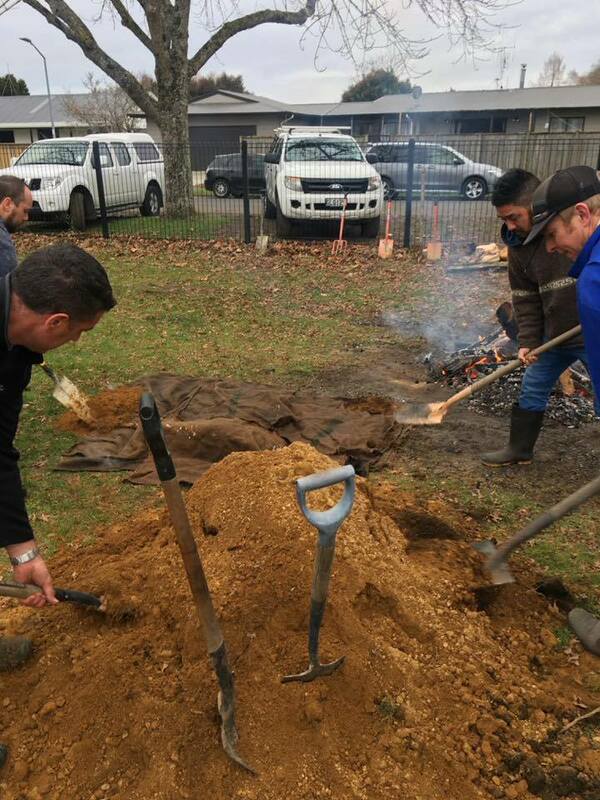 Each child brought 2 vegatables to provide for the hangi, and some people provided meat as well. ranged from old mutton, lamb, pork, wild pork, beef, chooks it all goes in. 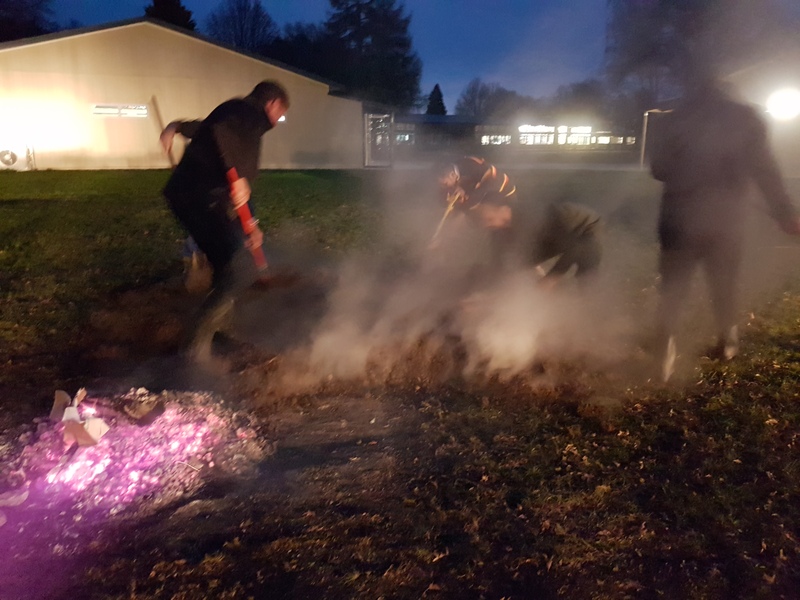 The process involves heating of volcanic rocks/stones, irons, another father provided some ex manganese balls from a quarry crusher(these things got bloody hot!) heated for 3 hours depending on the fire and temperature, its all a feel with the conditions at hand. 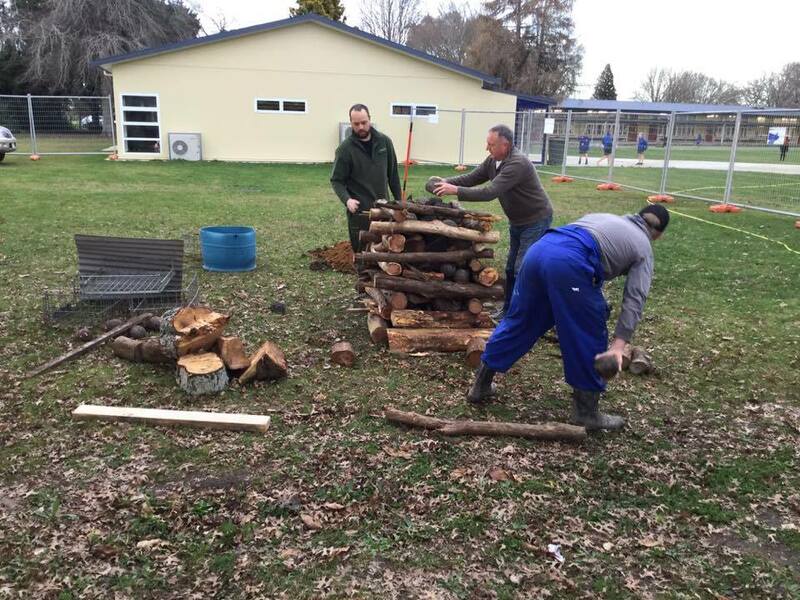 The fire needs natural hard wood, we had a mix of manuka logs, and macrocarpa rings/chunks. I set my fire to the side of the pit this way the ash doesnt get in the hole, it can dry the hole out on a wet cold morning, and easy to roll the rocks into the hole. Once the fire takes off it burns down and the stones get white hot and the irons begin to glow red (I'd love to put a temp sensor on these at this time. Never have done though. Meanwhile the veg is prepped into its own muslin bags and soaked in water. Hemp sacks and a a table cloth are soaked in water as well. Steel baskets are linned with cabage leaves and meat is thoroughly salted and layed in the baskets. Prior to the stones being removed the wet vege bags are put on the meat and the stuffing is ready as well. 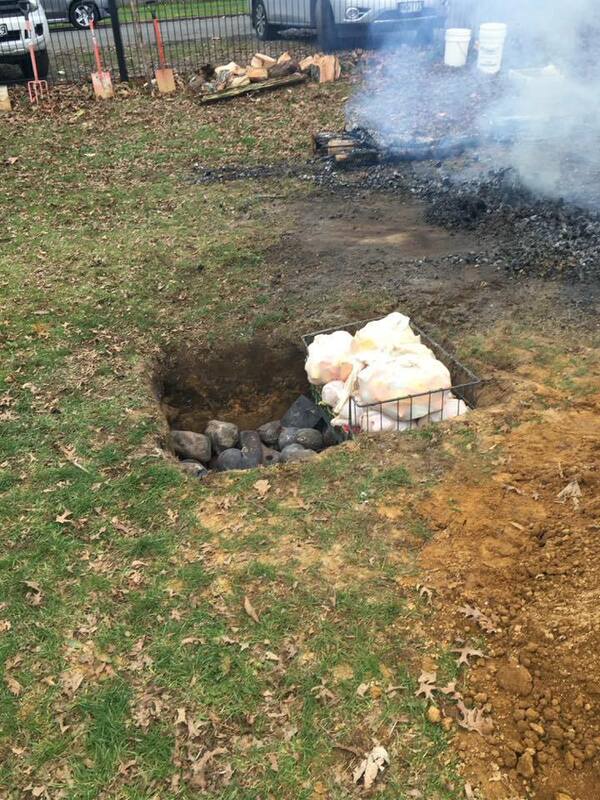 The stones are removed from the fire and racked shoveled and swept into the hole. This stage is really hot and exciting for the kids. Cotton overalls on rakes and shovels out and short quick shifts getting the stones removed as fast as possible. Once the stones are all in the hole i use the wet table cloth to beat the stones and remove any excess ash sitting on the stones. the baskets are sat on top of the stones. The table cloth covers the food and wet sacks cover the table cloth. The dirt then covers all the sacks passed the outer edge to seal off the dirt with the dirt. This locks in the heat and steam created from the wet sacks and hot stones, making it a giant pressure cooker or sort. 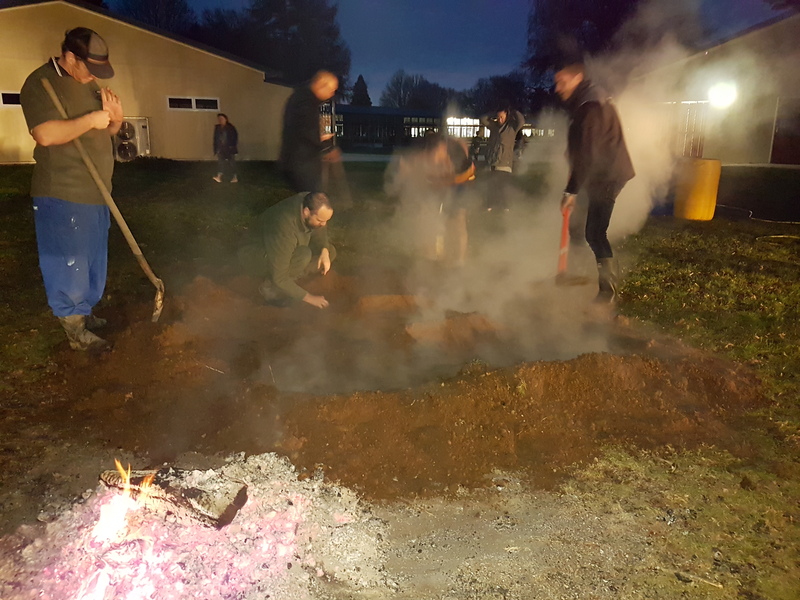 I then sit around watching the pile of dirt for 3 hours watching for any steam vents that might appear, i use excess dirt to cover these vents a seal off the dirt again. 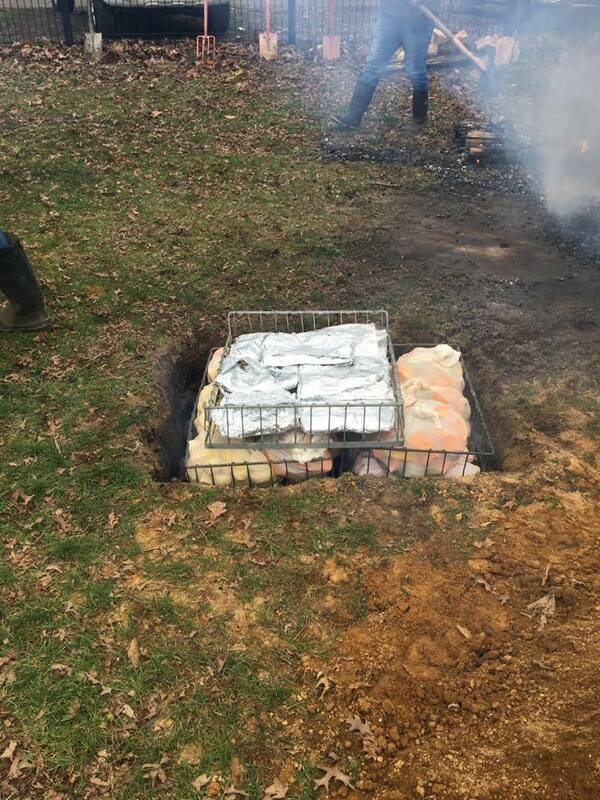 always good when its venting means the foods cooking. Times up and its time to begin removing the dirt and fingers crossed everything is cooked. 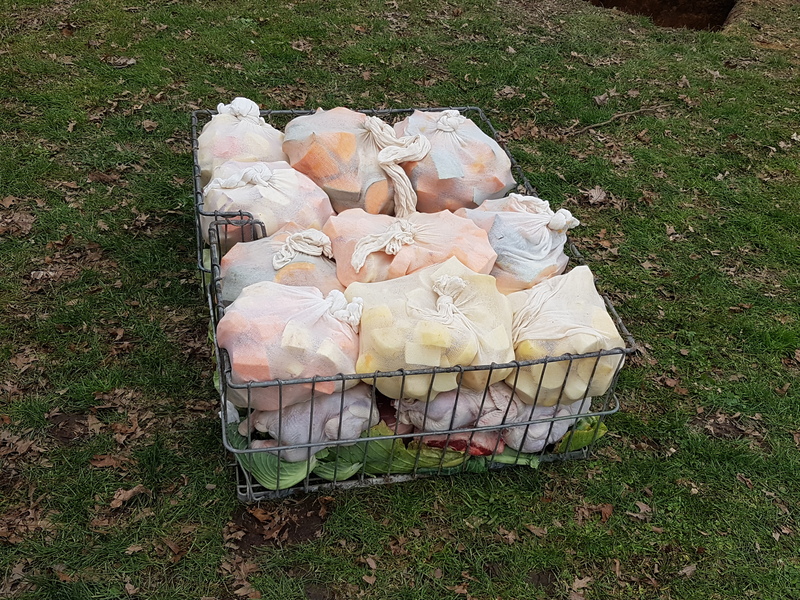 Reverse process, scrape the dirt off, peel the sacks back in reverse order and lift the baskets out. Bon Appétit we ended up feeding 200 people easy with this. Tahr, veitnamcam, StrikerNZ and 10 others like this. Shame pics of end result in dark. unfortunately being the cook you're always last to eat and there weren't any food pictures from my wife. On the + side the principal did provide us "cooks" with a few beers to go with our dinner. The process is when you want to feed 50+ people easily. can turn any chewy old meat into a tasty tender piece. I want to try scale it down and see if it works with a shopping basket, cater for 10 people with the authentic flavour and taste. Not a steamer / kai cooker. limiting the size and still maintaining the heat of a fire to do a few stones is my only concern. veitnamcam, Beaker and kukuwai like this. 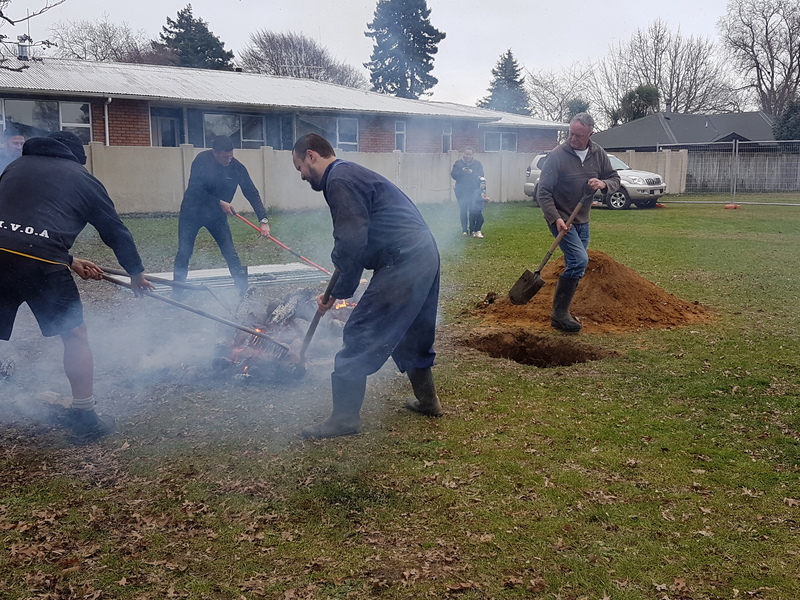 Couple of observations: I was shown how to put a hangi down when working in the Pureora area during the 80’s. Used to cut the meat into smaller pieces. Used volcanic rocks from central plateau river beds (slow burnt well before proper use, so as to remove any absorbed water and thus preventing cracking). 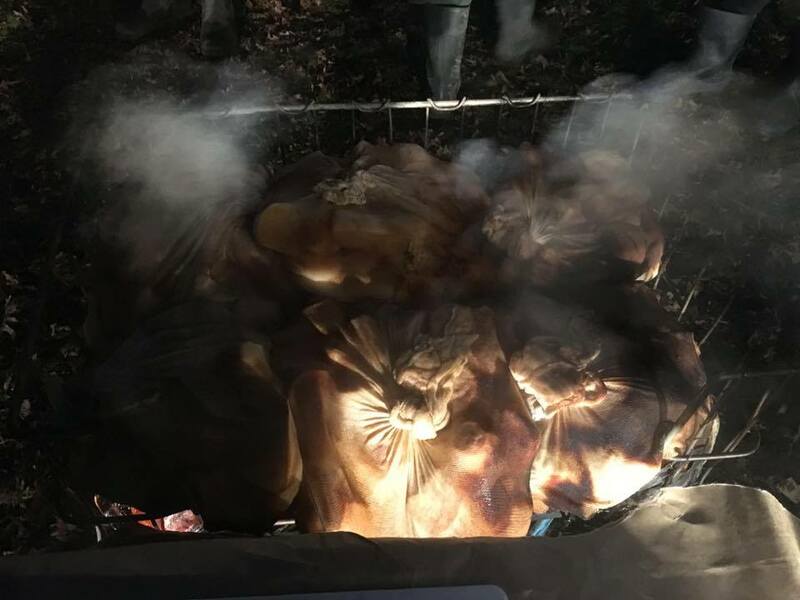 Once fire had burnt down, rocks removed and placed onto a sheet of iron and the fire hole was emptied of ash/cinders before baskets of meat put into that hole. I can’t see the point of putting hot rocks into a cold excavation. Every hangi came out well. 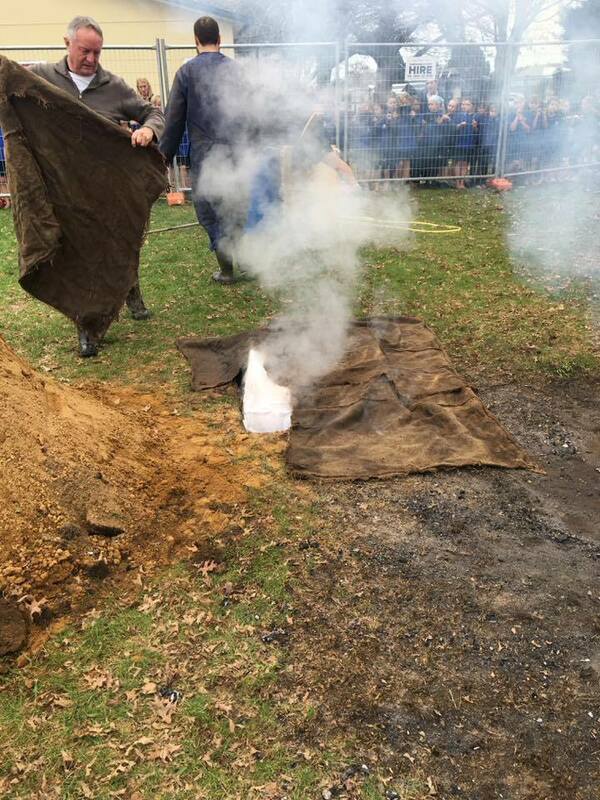 Worst I have seen is a hangi fire that was started using diesel! 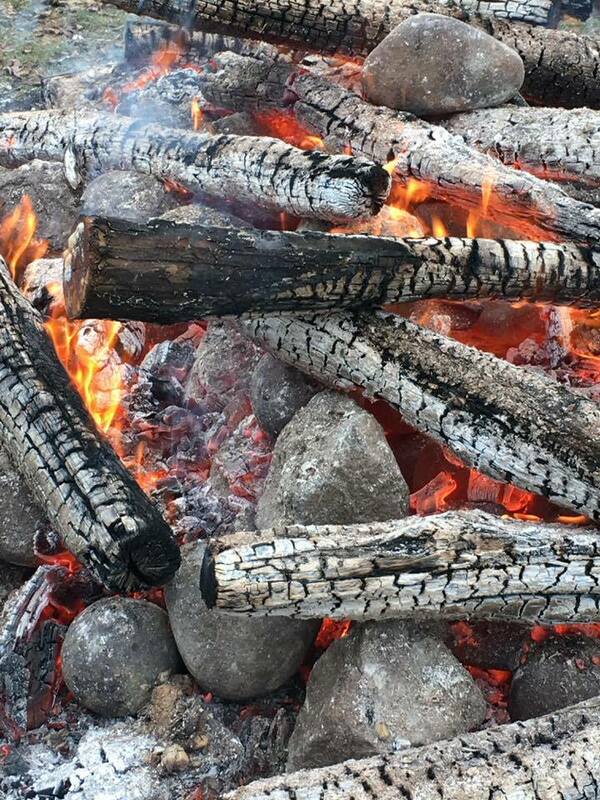 Fuel was poured over the rocks and wood. Food was inedible. @veitnamcam i seem to remember you asking @Projects to do this thread. Thanks guys. 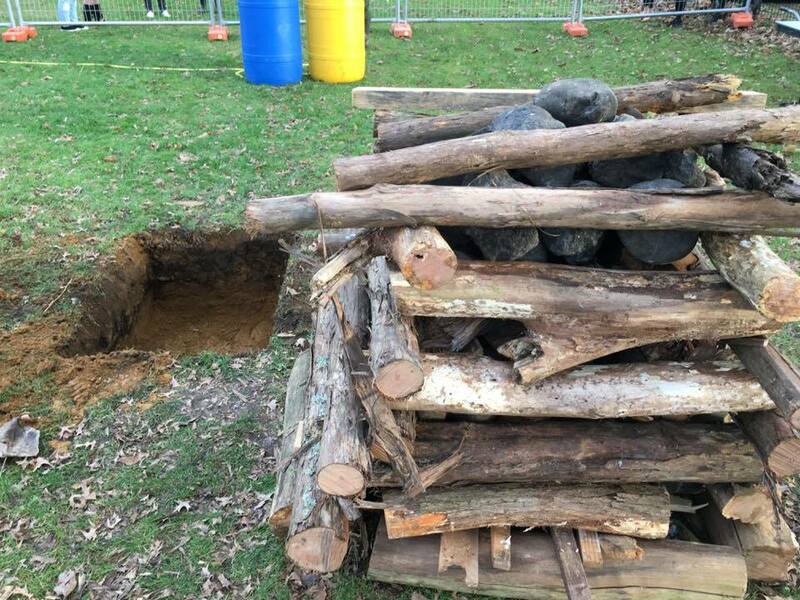 You're right @Ingrid 51 some people do their fire over the hole and go through all that effort of clearing the hole and double handling the stones etc. it works, and as the old saying goes, "there are more ways than one to skin a cat". This is the way I've been brought up on, my grandfather to my father and now to my brothers and I. There's no right or wrong way provided the food is cook and doesn't taste like diesel as well i guess. 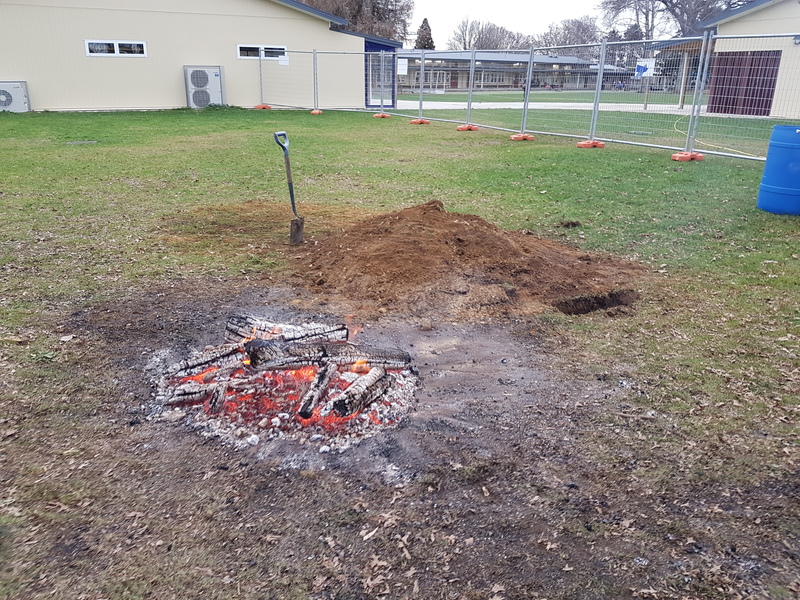 We do our fire close enough to the hole and upwind from the hole that the embers dont go in, but the heat of the fire dries the hole enough on a winters day. YOu also want to be sure you have a good clay layer! no sand, that'll sap the heat out of your stones and irons. Tahr, veitnamcam, ARdave and 3 others like this. 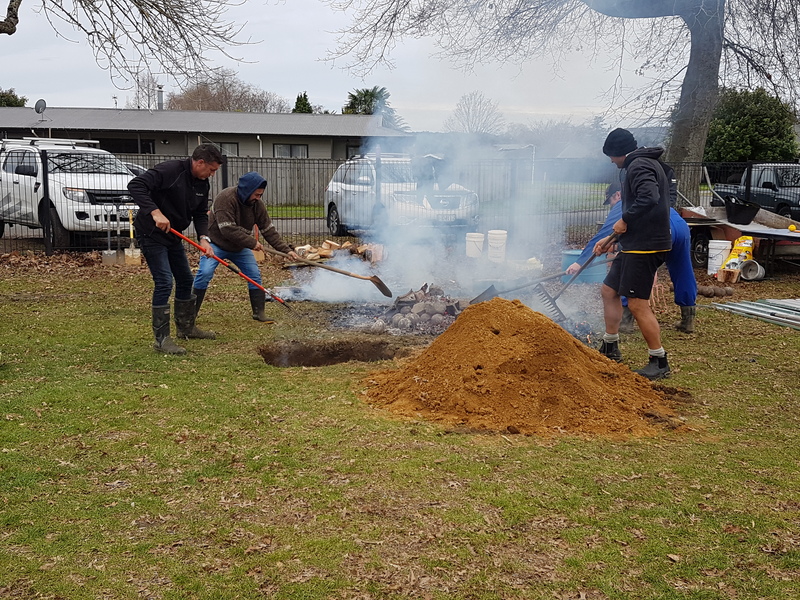 The last one I was involved with, it was and had been extremely wet for a month no problem we thought we had two massive piles of aged manuka to burn and dry the sopping wet clay earth. Most of it worked out ok just one big pork back wheel needed finishing off in the electric oven. Back around 1958 at New Year time they (local Maori) would put down a great big hangi for the public near the band rotunda in Rotorua. They must have fed hundreds of people. I have never forgotten the yummy smoky smell and taste. Great times. To my shame I have never tasted one since. But I can still taste that one from 60 years ago. kukuwai and Projects like this. 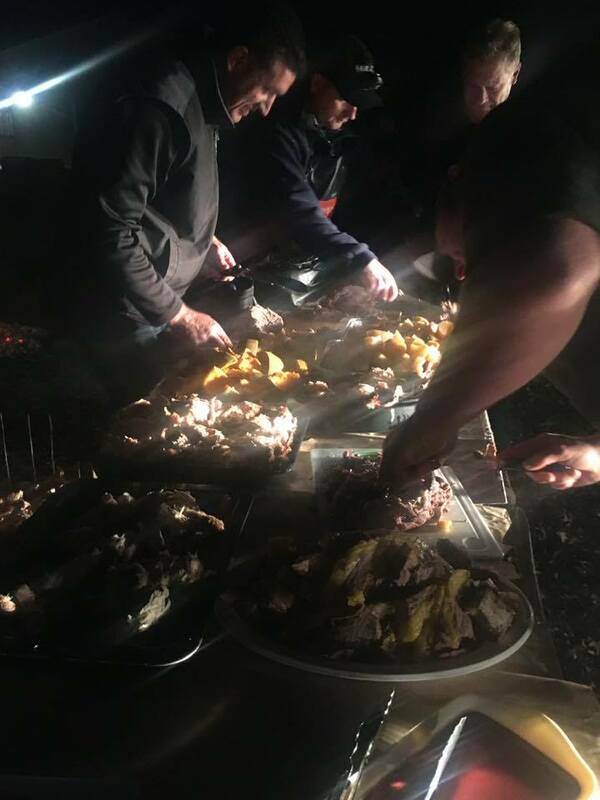 The cooks have the best job.... and if you’re not getting a feed from the basket while you carve up the meat you are doing it all wrong bro. 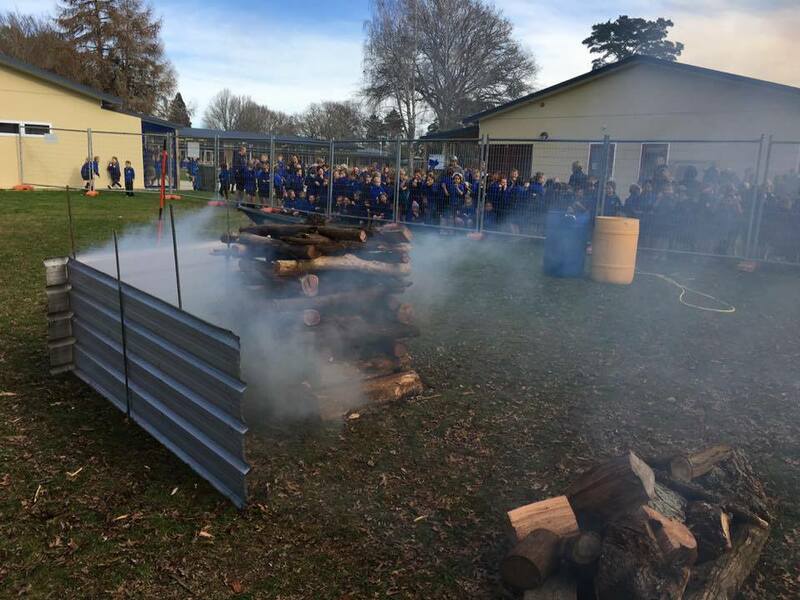 Good post, have to do one soon for my kids schools fundraiser, getting pretty close to the earth taste with the keg hangi’s these days thanks to the Manuka sawdust. keenbloke and Projects like this. You've got that right @kawhia Im a sucker for the fatty bits left on the boards after. My father in-law does a keg every month or so, he's got his close to it as well with a initial smoke and long steam with a wet sack. He just cant get his meat portions right, using chops and single sized portions and they're just too dry. Lack that fattiness. 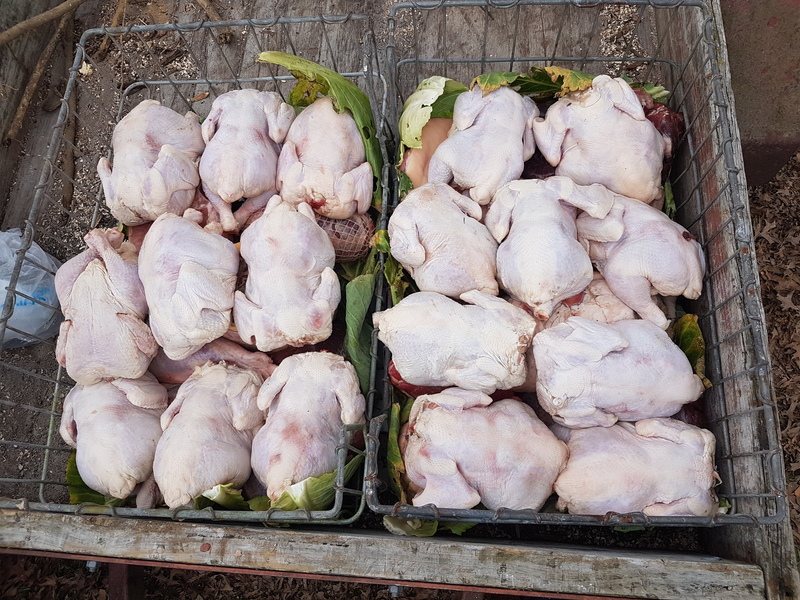 In the ground I normally wrapped my chickens in tin foil, another dad there said try leave them out of the foil like we did. Yes they fell apart as you tired to pick them up, but you could do it well enough with your hands. The skin got a nice crisp browness and the flavour of it was amazing. I wont tin foil my chooks again now.